The story cited an anonymous source, who pointed to a paragraph in the press release announcing the deal, which reported that “Netflix-related billing will be handled directly by Comcast, giving customers one, simple monthly statement,” as evidence of Comcast’s arm-twisting. Indeed, the story was a particularly lurid example of a genre of net neutrality scare stories that betray little understanding of the actual power dynamics of the pay-TV and OTT businesses these days. There are lots of reasons to be concerned about the FCC’s abdication, but the fate of Netflix is not one of them. With nearly 57 million U.S. subscribers, Netflix has more than twice the number of customers as any ISP, including Comcast. And it’s probably growing faster than any ISP as well, adding 1.2 million U.S. subs in just the first quarter of 2018 despite raising prices. No one is going to be putting the “pinch” on Netflix at this point. If anything, ISPs need Netflix, to drive sales of faster broadband speeds, more than the other way around, which is why Comcast is now hugging its one-time rival so tightly. To cite another, anecdotal, example of that dynamic, I recently switched my ISP service from Comcast to Verizon FiOS, which is giving me a year of Netflix for free even though I’m already a Netflix subscriber. I’m pretty sure that arrangement isn’t free for Verizon, however. Verizon may be getting a bulk rate on the Netflix subs it is giving away but it’s paying Netflix something for them. Verizon, in other words, is willing to take a financial hit even where it doesn’t have to — I would have signed up for FiOS without the promotional Netflix offer — because it wants to associate its broadband service with the streaming brand. In fairness to DMW, the billing arrangement might once have been important to Netflix, but at this point it’s probably not a top priority. Billing is a cost center for any service provider and turning those duties over to Comcast is probably a cost-saver for Netflix. Burying itself in the Comcast bill might also reduce a certain amount of churn for Netflix, positively impacting another costly problem for subscription services. Of far more importance than the billing relationship is the data relationship, and would indeed be interesting to know what the parties of worked out on that score. Comcast, which owns NBCUniversal, would no doubt love to know what Netflix viewers are actually watching. Whether the new arrangement will give them any more incite on that is not clear. 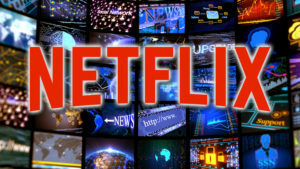 For it’s part, one advantage Netflix has had over rivals like HBO, until recently, has been that Netflix has extensive data on its subscribers and everything they watch, whereas, until the launch of HBO Now, the pay-TV network has not had access to comparable data. It is very unlikely Netflix would give up access to that data as part of the Comcast deal. The biggest problem with the DMW story and its like, however, is that it gets the reason the Comcast-Netflix deal is important exactly the wrong way around. Far from being able to soak Netflix for “paid prioritization” fees, the real value of the deal to Comcast is that it is adding a hugely valuable programming brand to its pay-TV service without the concomitant carriage fees. That could indeed be a game-changer, although which direction it ultimately breaks is not yet clear. The deal could be an indication that Comcast (and perhaps other cable ISPs) is looking to begin salting its pay-TV service with OTT brands, which could act as a hedge against ever-growing carriage and retransmission fees from incumbent networks. It could also turn out to be a first step toward Netflix charging ISPs for carriage, just as traditional linear networks charge pay-TV operators. Either outcome would mark a significant turning point in the evolution of the TV/OTT business. But it has nothing to do with net neutrality.